To view a full list of our YouTube requirements, please click here. Remember, it does not matter how silly your YouTube account may seem, the companies we represent are interested in every possible topic and niche. Don’t want to sell your Channel but would still like to earn? No problem! Our company is also interested in purchasing sponsored posts/mentions in your videos. If your activity is high and rates are competitive, please give us a shot. We will send out your offer to the companies we represent. If we find a business who is interested in your Channel topic and audience, we will whip up a contract and start the campaign, all under our patronage. Whenever you’re ready to sell your YouTube Channel influence, please contact us by submitting the form on this page. Please remember that we may ask for additional information (screenshots of statistics) before we can give you a proper offer. We also encourage all YouTube sellers to check out the current state of the YouTube market for the latest updates and news that affect the value of these Channels. READY TO SELL YOUTUBE CHANNEL? Could I sell my YouTube Channel but still keep my email? Yes. Selling YouTube Channel influence is quite easy. A transfer of a YouTube Channel for the purpose of giving brands access doesn’t require that you give up your personal email, and the whole process takes a few clicks to complete. You simply make ViralAccounts.com the primary owner of the Channel, and we will take care of the rest. The whole process from start to finish takes 24 hours. To complete the transfer, you will need to create a brand account and connect it to your YouTube Channel. To learn more about brand accounts, channel owners and managers, click here. Why does ViralAccounts.com purchase YouTube account influence? Our company only acts as a mediator between buyers and sellers, so we don’t personally purchase access to these YouTube Channels. We have over 2000 brands which are always on the lookout to increase their social reach, and YouTube Channels are perfect for that. Not only can they increase brand awareness, but they also allow the owners to earn from views, this is why they’re quite desirable. How much is my YouTube Channel worth? Thinking of selling your YouTube Channel? We have bad news for you, there is no set price list, as many variables come into play. Channel age, the number of subscribers, niche, activity, past earnings, and subscriber geolocation are just a few factors that affect the bottom line. There are tons of gimmicky YouTube estimator websites all over the web. However, they are only novelty apps that will show inaccurate estimations. To get a real quote, human intervention is needed. So, if you’re looking to for the real value of your YouTube Channel, please contact us at your leisure. Once we review your Channel, we will email our network of brands to see who would be willing to work with your property. Please note that past/current earnings aren’t required, and we may be able to work with you even if your YouTube Channel didn’t earn a single penny. If we’re unable to find a brand who is interested in your property, but you’re still willing to sell your YouTube Channel, our company may offer you a direct buyout option. Certain restrictions apply, please contact us for more information. Can I delete my old videos/content? If you have any personal videos on your Channel, we can delete them to protect your privacy. All we care about are the subscribers, the current content on the channel will have a very little impact on our offer (in most cases). However, please don’t delete your old content until we take a look at it. We need to see it, so we can measure the past activity. Otherwise, we won’t be able to find a suitable brand for you to work with. 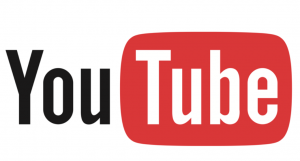 What are the average YouTube Channel prices for direct buyouts? Is the Channel rising or declining in activity? Is the niche future proof? This is why it’s so tough to generate an average price set for YouTube Channels, just too many variables come into play. In the past, YouTube Channels were worth more, but thanks to recent policy changes, YouTube Channel prices are drastically falling. If you’re wondering how much is your YouTube Channel worth, simply contact us by using our form to get a real, obligation-free quote. Content. The Channel has to have a minimum of two uploaded videos. We will not consider any Channel if it’s simply empty, even if it has a lot of subscribers. Inactive Channels. Unlike other platforms, YouTube Channels are very hard to revive once the activity goes down. If you have little or no activity, we most likely won’t be able to work with you. Footage ownership/copyright. We realize that sometimes it’s impossible to avoid copyright content. But if your Channel solely relies on the work of others, without a mix of your own work, then finding an interested brand will be difficult. If you accept our offer, it is quite a simple process. We first try to verify your identity (basic information), as we don’t deal with anonymous sellers. Upon verification, we will issue the contract pay out the very same day. We provide many payment options such as Paypal, Bitcoin, Western Union, and bank wires. For more information, please check out our seller rules. Is ViralAccounts.com affiliated with YouTube? ViralAccounts.com is not affiliated with YouTube/Google or any other companies mentioned on this page. All product names, logos, and brands are the property of their respective owners. All product and service names used on this website are for identification purposes only. Use of these names, logos, and brands does not imply endorsement. ViralAccounts.com does not store or own any YouTube channels, our company simply acts as a mediator between the willing buyers and sellers.